A heroin-addicted teenager. A modern retelling of the Ramayana. A toad that searches for life’s purpose. What is the link between these tales? What ultimately binds the seemingly disparate and incompatible stories? The answer is simple; it lies in the endurance of the human spirit. No matter how divergent our stories, how convoluted, and how bizarre, they end up telling us about ourselves more than mere speculation or introspection ever could. 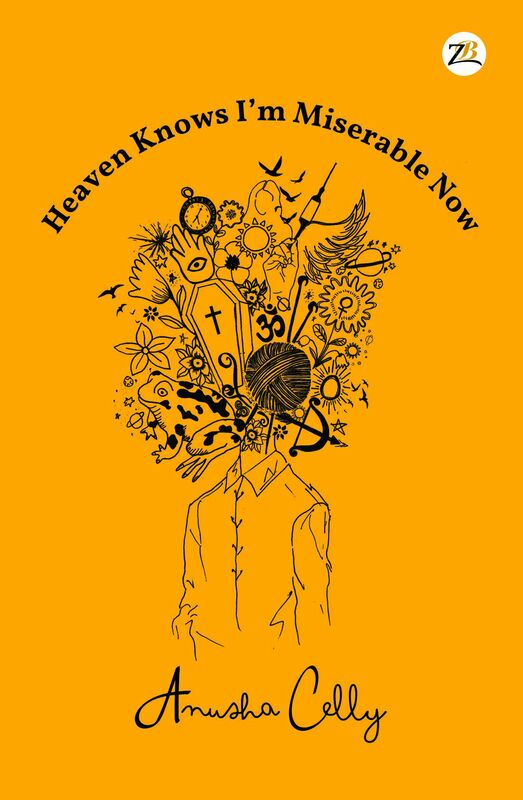 “Heaven Knows I’m Miserable Now” attempts to answer the questions that lurk not only in society but also in the back of our minds by combining the outlandish with the pragmatic, the morose with the ecstatic, and the banal with the exciting. Anusha Celly is a student at the Shri Ram School Moulsari. Her interest in English Literature first arose in class 9, when she started the IGCSE curriculum. Since then, her love for English and other languages has only grown. Last year, she decided to transcend her theoretical understanding of language into the practical: a chance encounter to various hidden areas of Old Delhi exposed her to an aspect of human condition that the world turns a blind eye towards, and she decided to throw light on the pressing issues that haunt our society at large and individuals in general. Thus came, “Heaven Knows I’m Miserable Now,” a collection of short stories that highlight the ugly, naked, and ultimately enduring aspects of the human spirit. Besides reading and writing, Anusha is interested in the dramatics, music, and social work. She recently received a bachelor’s degree in Indian Classical Music.